Canadian pairs figure skater Jessica Dube after being struck in the face by Bryce Davison’s skate. February 8, 2007: Canadian pairs figure skater Jessica Dube is struck in the face—mid-spin—by partner Bryce Davison’s skate while competing at the Four Continents Ice Skating Championships in Colorado Springs, Colorado. It takes 80 stitches to close the deep four-inch gash, yet Dube is back on the ice less than two weeks later. May 25, 2008: In the midst of celebrating their Canadian Hockey League championship, Spokane Chiefs captain Chris Bruton attempts to hand the Memorial Cup to teammate Trevor Glass, at which point the trophy separates from its heavy base and crashes to the ice. The incident prompts boos from the crowd at Memorial Auditorium, already disappointed that their hometown Kitchener (Ontario) Rangers had been defeated. “It just kind of crumbled in my hands and I’m sure I’ll be all over YouTube … but I don’t care because we won the Cup and that’s all that matters,” says Bruton after-the-fact. March 26, 2009: Peter Stenzel, 52, a Calgary Flames fan living in Columbus, Ohio, is arrested and charged with inducing panic and menacing after making three threatening phone calls to the NHL’s Columbus Blue Jackets during a game between the two teams at Nationwide Arena in Columbus. Stenzel twice threatens to shoot Blue Jackets’ rookie goaltender Steve Mason, and also threatens to bomb the arena. But police obtain Stenzel’s phone number from caller ID, and when special duty officers arrive at his residence, they find him wearing a Calgary Flames T-shirt. November 24, 2008: Montreal Canadiens defenseman Ryan O’Byrne scores a rare soccer-style “own goal” during the third period of an NHL game against the New York Islanders, firing the puck into his own net from the side boards after a delayed penalty on the Islanders sends Canadiens goaltender Carey Price scooting to the bench for an extra skater. The goal ties the game at 3-3 and the Islanders go on to win in a shootout. November 30, 2009: Keith Ballard, defenseman for the NHL’s Florida Panthers, swings his stick in frustration after Ilya Kovalchuk of the Atlanta Thrashers scores a goal on Panthers’ goalie Tomas Vokoun during the first period of a game between the two teams. In the process, Ballard accidentally slashes Vokoun on the side of the head. Vokoun leaves the ice on a stretcher and is treated at an Atlanta hospital for lacerations to his left ear. January 12, 1991: U.S. skier Eric Keck becomes the first skier to clear the catch fence at the Mausfalle (mouse trap) jump at the top of the Hahnenkamm (HKR) Downhill course in Kitzbühel, Austria. Soon after the crash, a bleeding Keck emerges from the forest wielding a mangled ski. Minutes later, fellow American Bill Hudson also sails off course, clearing the fence and landing amongst boulders. Hudson’s injuries keep him in the hospital for two weeks and have him seeing double for three months. January 10, 1980: Boston Bruins goaltender Jim Stewart allows three goals in the first four minutes of his NHL debut, and gives up a total of five goals in the first period before being replaced. He never plays in the NHL again. 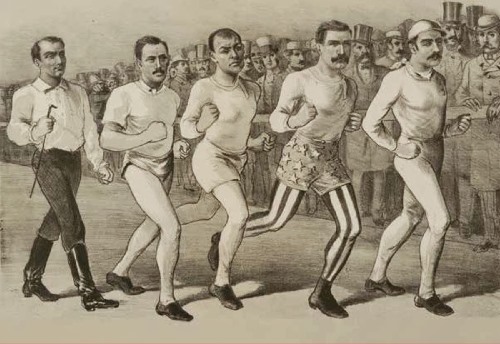 The Walking Dead—The rise and fall of the six-day walking match, an exercise in endurance and sleep deprivation. 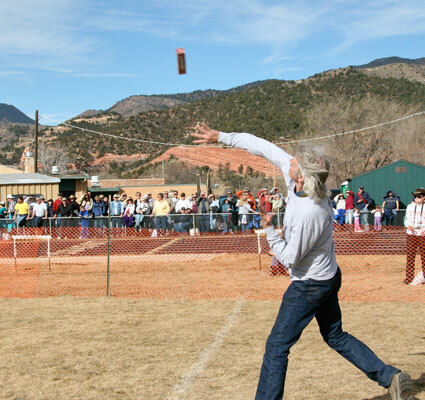 The Great Fruitcake Toss—Manitou Springs, Colorado’s Great Fruitcake Toss. Quirkiest Golf Failures—From the PGA and LPGA tours, and the ‘worst avid golfer’ contest. 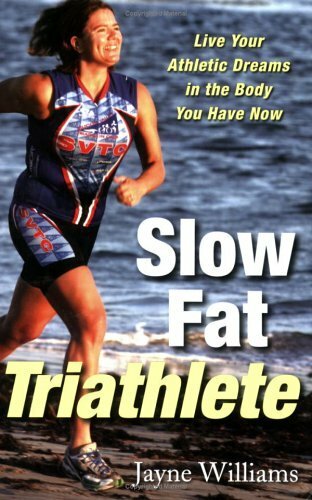 Weighty Words—A chat with the slow fat triathlete.